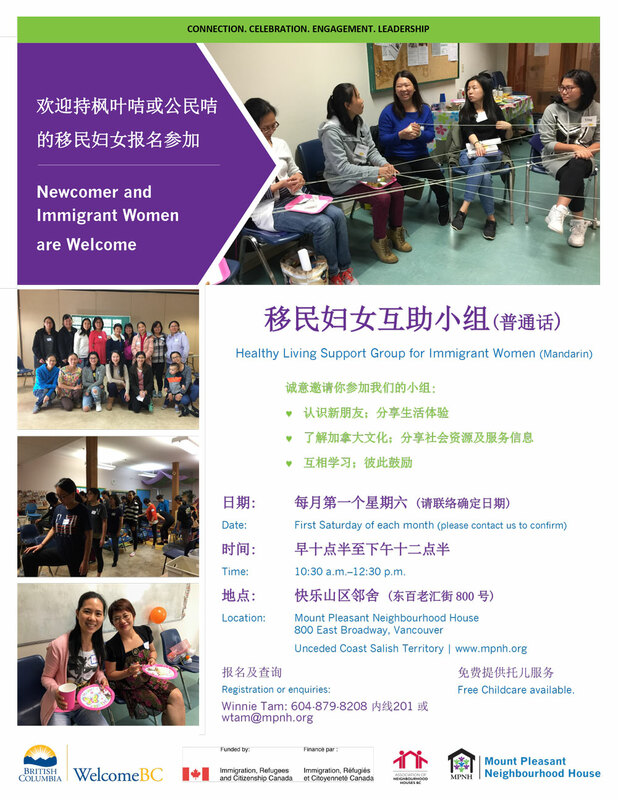 A free ongoing theme-based monthly program to help and support Chinese-speaking immigrant women to adjust their new lives in Canada. Immigrant women are invited to come meet new friends, share their experiences, knowledge, skills, cultural and resources. Childcare and transportation are available for eligible families. Registration and membership are required.